Ben Wade Oakes Dickinson was born 29 October 1926 in Hickory Township (Sharon), Pennsylvania, to Ben Wade Orr Dickinson, Junior, and Gladys Grace Oakes Dickinson. Wade’s one sibling, Robert Wayne, was born eight years later. Wade and Wayne were creative inventing partners for fifty years, starting between seven and twenty-five companies together (depending on how you count) and being granted more than forty patents for a broad variety of technical inventions. Of his 39, Wade’s most recent patent was granted in 2011 (US Patent 7,914,749). 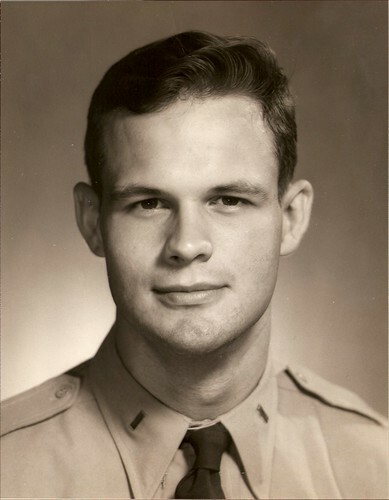 Wade attended Carnegie Institute of Technology, then United States Military Academy at West Point, New York, starting at the end of World War II and graduating in 1949. He studied as a nuclear physicist at the Oak Ridge School of Reactor Technology, worked on the United States Air Force Aircraft Nuclear Propulsion Program, and was a researcher at RAND Corporation, in Santa Monica, California. Wade was honorably discharged from the US Air Force with the rank of Captain. He joined Bechtel Corporation, during which time he was Technical Advisor on Atomic Energy to the US Congress. Wade and Wayne went into business in San Francisco, founding W.W. Dickinson Corporation, Agrophysics, Petrolphysics, and other businesses, applying their knowledge of physics and engineering to solve problems as varied as cardiology, cattle reproduction, and directional oil drilling. Wade and Wayne and a team of other lecturers taught “Venture Design: The Start Up Company” (Engineering-110) for 19 years at the University of California at Berkeley. Wade was a Mason (West Point, New York, Lodge) for over 60 years. He was a founder and honorary Board member of the California Medical Clinic for Psychotherapy. 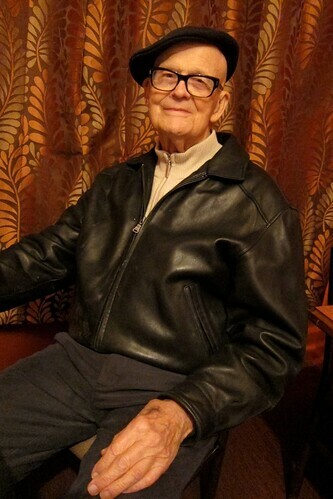 Wade was a member of the parish of Saint Mary the Virgin Episcopal Church for over 50 years. At St.Mary’s, he served in several church leadership roles (Vestry, Treasurer) and was a dedicated crucifer and chalice bearer. Wade helped the parish to start community outreach ministries to support the hungry and homeless. Wade married artist Eleanor Evelyn Vaughan Creekmore in 1952 with whom he had three children: Mark, Katy, and Peter. His grandchildren are: Jessica (and her husband Matthew) and Paul, Corey and Forrest, Lynda and Daniel. Wade died at the age of 85 on 16 November 2011 at his home in San Francisco, California. 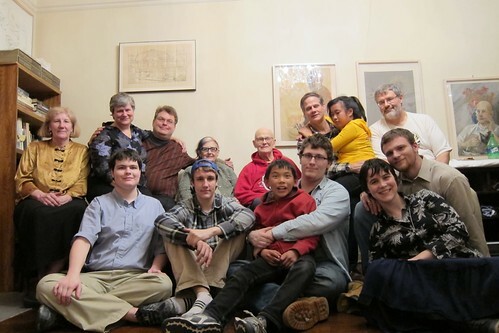 Wade’s funeral will be held at Saint Mary the Virgin Episcopal Church in San Francisco, at 3 pm on Sunday, 4 December 2011, reception to follow at the church. If you plan to attend the funeral, please arrive early to allow extra time for parking. Memorial donations are requested instead of flowers, to: Episcopal Church of St. Mary the Virgin Community Outreach: 2325 Union St., San Francisco, CA 94123. Phone: 415-921-3665 (checks made out to: “St.Mary’s Community Outreach” and include “Donation in Memory of Wade Dickinson” on the memo line), or to the charity of your choice. Goodbye Grandpa – we love you! I’ll never forget that your Dad taught me how to use chop sticks when I was a teenager visiting San Francisco with my Mom, Ruth Cunningham. On an earlier trip that was probably in 1968, Wade was the only one home when we visited and was taking care of all the family pets. He showed us the bathtub that had been taken over by numerous frogs-quite a sight! I am sorry to hear of your loss. Our thoughts and prayers to your dad and family. I met several times with your father and Wayne in S.F. in the late 1960s, to talk with them about one of their Agrophysics projects. At the time, I was managing W.R. Grace’s Biochemistry Research Department and programs. In my first report to WRG’s management, I labelled them “two of the World’s most creative minds.” When your father visited my home in Maryland, each time we talked through the entire night, from dinner to breakfast the next morning. Those all night sessions were not only memorable, they were among the most exhilarating experiences of my life. He was a brilliant man … and surely is among those the world will miss. I took a class with your dad at Cal in 1986 on starting a business as an engineer. I have since gone on to start 5. I last saw him on a chair lift at Squaw Valley where I have been teaching for 20 years on the weekends. Your dad was a nice guy and did influence my life – I was part of the team that won your dads class award, given away by a VP of Bechtel. I was then hired by Bechtel, had a lousy boss, and left to take a ski teaching job in Switzerland. Engineering, skiing, and starting companies – sound familiar? With sadness, I found Wade’s obituary today. They say the most important things in life are the experiences and not the material items. Working for Wade and Wayne was a great example of this. I worked for Wade at PetroPhysics and have my name on a few of his patents. My experiences started with adventures in the famous locations in California: Midway-Sunset, McKittrick, Taft, Bakersfield, and Texas: Saguin and Plano. No door was ever closed to Wade and he had contacts with many influential people. He could be very charming as the time he placarded the police in Plano after our testing ran too late into the night. Wade taught me one of the most important lessons in life: “you learn more from you mistakes than your successes”. I will fondly remember my four years with Wade. I was reading today’s news on how US get ample gas supply by freaking. This technology was invented by Wade and his associates back in 1982. I was honor to be chosen by him to work on the program. I learned a lot from him when we drove from S.F to Bakersfield— politics is more important than engineering. His characteristics will be truely remembered. RIP Mr. Dickinson. I took your class at UC Berkeley in 1997. I’m forever grateful for what I learned from you and Wayne in your class. 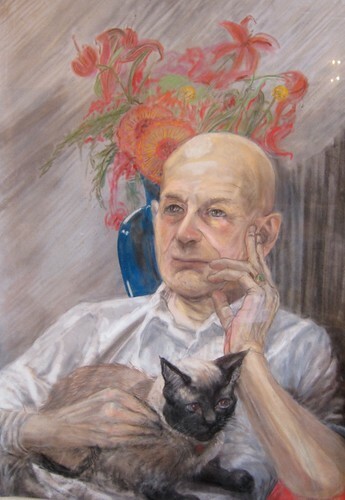 Katy, It is with great sadness that I find this blog today, and read of your fathers passing, he gave me spirit and attitude and support, I think of him often, as “a remarkable man”. And with that, it is with great happiness that I found your blog today so that I have an opportunity to re-connect.